A few weeks ago, I log into Disney Movie Rewards (DMR) and realized I had some unused points and some Blu Ray points from recent purchases that I had yet to submit. After entering the codes that I had (with a little help from some free codes/points by searching online) I had enough points to get a couple of little Pixar items there for free! 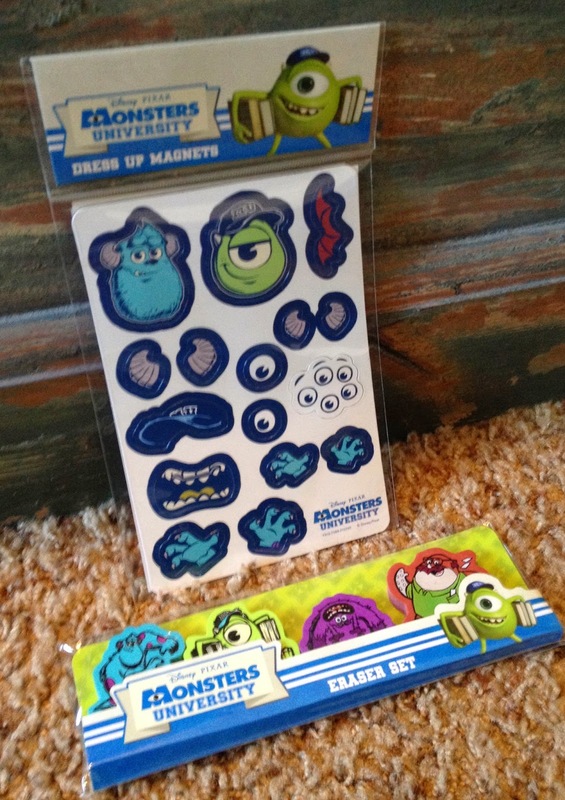 The two I chose were the DMR exclusive "Dress Up Magnets" (300 points) and a really cool "Eraser Set" 4-pack (which includes Sulley, Mike, Art and Don for 400 points). When I arrived home from our recent trip, these were waiting for me in the mailbox! It's always fun to use my DMR points to get little items completely free of charge, even if they're items I probably normally wouldn't get. 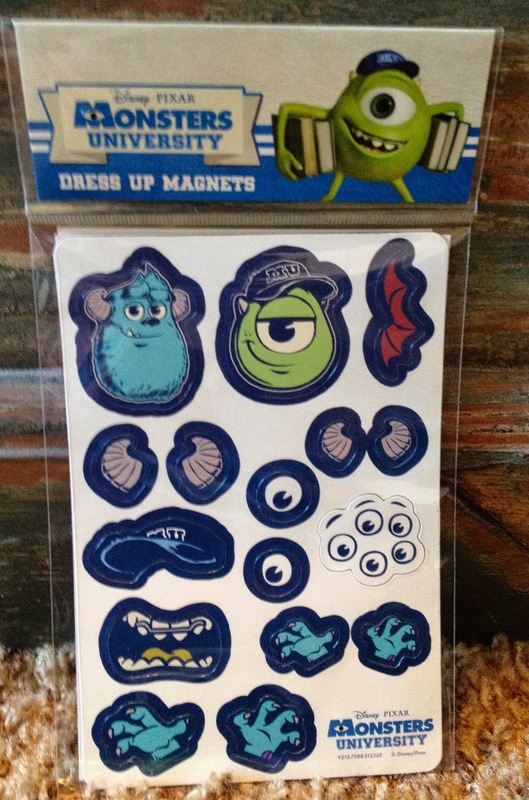 If you're a Pixar fan with some DMR points that you've accumulated and want to use them, check out the Pixar section of the rewards and you might find something that you're interested in. If you haven't signed up for Disney Movie Rewards, I would definitely recommend doing that today! I only started around a year ago when I realized I had countless DVDs, soundtracks and Blu rays that had points with them that had been sitting around for years. It was fun going through them all and racking up thousands of points (all of which are long used by now since there are some pretty cool items that show up often). If you're not familiar with how DMR works, I'll explain. With every Blu Ray or DVD you purchase, there will be a code included inside the case on the left hand side when you open it up. Sign up/Log into Disney Movie Rewards' website and there you'll see a bar to type in your codes to. As you put in your codes, you'll start to see your points accumulating to the left under "My Points." Once you have enough points to get something, just visit the "Get Rewards" tab and browse what they're offering. From there you can order little fun items, and even some bigger items if you have a massive amount of points. It's as simple as that! Anyway, go check out! If you're a Disney movie fan, chances are you have lots of points just waiting to be submitted.